Select the DC PRO Series headset that’s right for you — from the popular DC PRO-X Hybrid Electronic Noise-Cancelling headset, or choose one of our Hybrid ENC panel mount, or passive communication headsets. You’ll quickly see why technologically advanced and intelligently designed DC PRO Series headsets are the best value in aviation. And don’t forget to register your Pilot Profile for future news and updates. Questions before ordering? Call David Clark customer service at 1-800-298-6235. Dual ear with control module and standard aviation plugs. TSO C-139 approved. Headset bag included. 30-Day Money Back Guarantee and 5-year warranty. Dual ear, panel mount model with control module and 6-pin connector for plugging directly into aircraft panel power source. TSO C-139 approved. Headset bag included. 30-Day Money Back Guarantee and 5-year warranty. Dual ear, Airbus compatible model with control module and 5-pin Airbus connector (no adapter required). TSO C-139 approved. Headset bag included. 30-Day Money Back Guarantee and 5-year warranty. Dual ear and standard aviation plugs. TSO C-139 approved. 30-Day Money Back Guarantee and 5-year warranty. Single ear and standard aviation plugs. TSO C-139 approved. 30-Day Money Back Guarantee and 5-year warranty. Dual ear, Airbus compatible headset with 5-pin Airbus connector. TSO C-139 approved. 30-Day Money Back Guarantee and 5-year warranty. 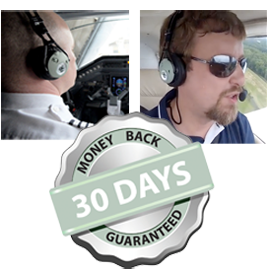 * Note: As with any passive headset featuring a supra-aural (rest-on-ear) design, DC PRO passive communication headsets are not recommended for fixed wing, piston engine aircraft. 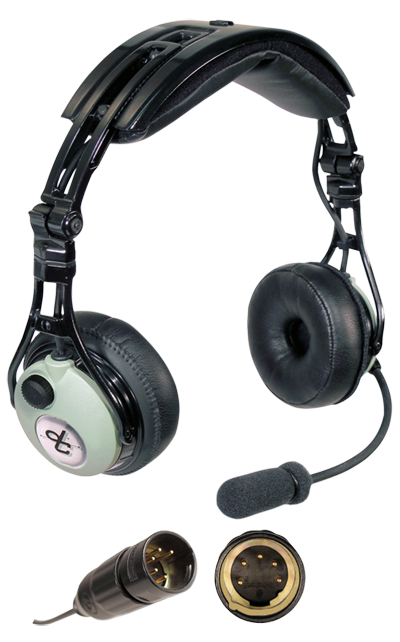 DC PRO Series passive headsets are designed for use in the commercial/transport jet aircraft market.